JSC Kuznetsov did not say what kind of engine unit will power the “aircraft of the future,” but in August 2014 it was rumoured to be an improved NC-32, which is currently used on Tu-160 strategic bombers. Field tests of the first prototype engine of the PAK DA long-range aviation aircraft were undertaken successfully recently, engine maker JSC Kuznestsov said. This marks another milestone in the development of the aircraft. The initial phase of development work on the PAK DA began in 2011, immediately after the design of the general specifications of the new aircraft. Designers constructed the look and the master data for the sub- and supersonic PAK DA versions. On the basis of the obtained data the prototype engine was developed. Initially, developers planned to use the advanced AL-41F engine with a thrust of 20,000 kg, which would reduce costs and standardize the nomenclature of power plants. However, problems encountered during work on the engine forced developers to take on a new project. In 1999, Air Force Commander Petr Deynekin voiced the need to replace the entire fleet of Russian strategic aviation with bombers capable of performing the tasks assigned to the Tu-22M, the Tu-95, and the Tu-160. Specific capabilities were adopted in 2008, after the start of funding research on the PAK DA. Statements from various state officials expressed in the media on the prospects of the development of the PAK DA until recently did not give speak much to whether there is a new bomber in the works. 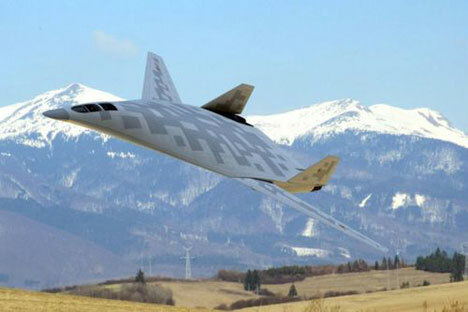 According to independent military aviation expert Anton Lavrov, subsonic speeds are the predominant factor for the development of the low-profile strategic bomber, which the PAK DA should become, having the maximum possible flying range and striking range from its territory to distant enemy targets. Until recently, intrigue has been high about the PAK DA project executor. Research was conducted on the PAK DA in 2009 in the Tupolev Design Bureau. However, there were reports in the media that the implementation of PAK DA production will be handed over to Sukhoi. This week, during a military exhibition in Zhuhai (China), UAC (United Aircraft Corporation) President Mikhail Pogosyan clarified things finally, stating that the parent company to work on the project will be the Tupolev Design Bureau. “I don’t know where these rumors emerged that the head developer of the project will be Sukhoi. The program is already being implemented. The parent company is the Tupolev Design Bureau, partnering with aircraft construction enterprises that are members of the UAC,” reported RIA Novosti news agency. Thus, by 2014, the project reached development stages: the developers identified and formed the tactical and technical data of the PAK DA, including an approximate weight of 125 tons (with a combat load of 30 tons), a range of 12,500 km, and subsonic flight.